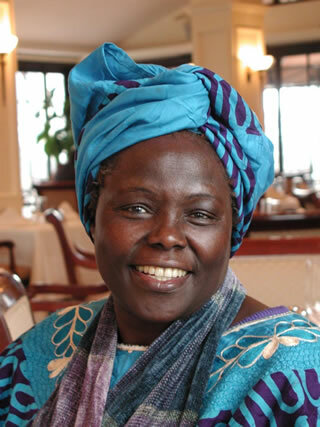 Nobel Peace laureate Prof Wangari Maathai yesterday told her minister not to yield to pressure to have the shamba system re-introduced. Kalonzo Musyoka is the Environment minister while Maathai is his deputy. The minister is under intense public pressure to re-introduce the controversial shamba system. The system, in which farmers cultivate food crops in government forests while tending trees, was banned last year by the then minister Dr Newton Kulundu following abuse of the system. The initial goal was largely noble, since it was based on the assumption that as farmers tended their crops, they would also tend tree seedlings. And yesterday, in the apparent cross-speak between the minister and his principal deputy, Maathai sought to explain that she is not opposed to the system provided it is not undertaken on existing forests. "The minister for environment is under pressure to reintroduce the shamba system. Although I am not wholly opposed to the system, so long as they do not encroach on our existing forests, he may be tempted to pilot it only to open a Pandora’s box," Maathai warned. Saying she is aware of the opposition to her hard-line stance against the system, she asked; "(If it is allowed) what would stop others from asking for (similar) a pilot?" Maathai, who is also founder of the Green Belt Movement, was speaking at the ministry offices in Nairobi when she received Peace Corps and USAid officials. During the briefing, it emerged that USAid would fund a pilot re-afforestation programme at the Aberdare Forest while the Peace Corps would recruit volunteers to the programme. The Green Belt Movement is implementing the project at the community level alongside the Forest Department and the ministry. The project would be expanded to cover the other four mountain forests in the country to increase the country’s forest cover from the current 1.7 per cent to at least 10 per cent that is the international minimum standard. Soon after his posting last year, Musyoka indicated that the ministry would experiment with a pilot scheme of the system in some forests. Maathai insists many people do not understand the system. "With the shamba system, the local biodiversity is replaced by monocultures of exotic species that have less capacity to receive rainwater, retain it and allow for seepage into reservoirs. A farm of trees is not a forest," she said.